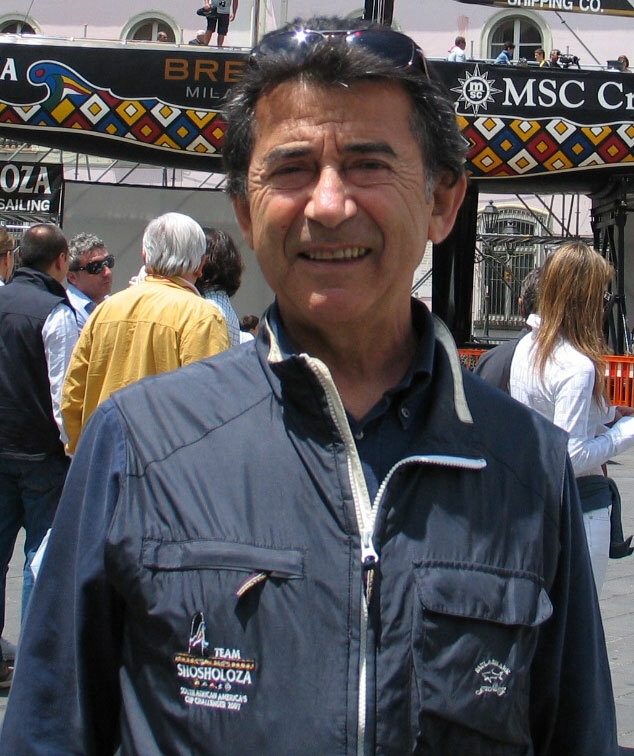 For many people, Salvatore Sarno's Team Shosholoza was the "darling" of the 2007 America's Cup. South Africa had never participated in the event, but the team lived up to its Zulu name, which can be translated as "Forge ahead together". With a tiny budget that meant having just one boat and a very limited number of sails, Shosholoza went from hardly knowing its way around in ACT One, to defeating the mighty Luna Rossa and fancied Mascalzone Latino in the Round Robins. Marian Martin asked Captain Sarno's for his thoughts on the latest situation. Last year you told me "For me, that the blame lies with Ernesto Bertarelli is something that I will not accept." Do you feel any differently now? No, I feel exactly the same way; the blame is not with Ernesto Bertarelli. 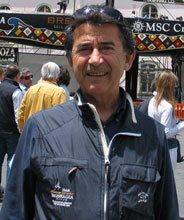 How did you feel when the Appelate Division ruled in favour of Alinghi and later when GGYC appealed? I was surprised, because I thought that it would have been impossible to reverse the verdict of judge Cahn; most probably the Alinghi lawyers found that a similar case was ruled in the past and got a favourable verdict. I was also happy in thinking that the nightmare was at an end and that we could, finally, look at the future. Of course, with the GGYC appeal, I can only say "Oh no,not again !!" Sir Keith Mills has put forward an idea that has both CNEV & GGYC stepping down and RTYC, or some other Club, taking over as CoR for a multi-challenge AC33. Can you see either/both sides agreeing to this? It is a good idea, but would it be the Americas Cup?? I do not think it will be the same thing. There has even been talk of the King of Spain getting involved in trying to broker a settlement. Do you think he could bring about some compromise that would get the America’s Cup back on the water? There seems to be consensus that it will be a very long time before the GGYC appeal is ruled on. Do you think there is anything that anyone could do, or say, that might get Larry Ellison to withdraw that appeal? Mr Ellison and his Team have reached a point of no return. Either they will win or lose. A Swiss newspaper quoted Russell Coutts as saying "Despite some minor adjustments, the rules of the 33rd Cup give an advantage that no other Defender has ever granted itself in the Cup. This is unacceptable. Why does Alinghi want to control the event by not giving any chance to others? The imbalance is enormous. We offered reasonable proposals last year. Alinghi has considered them too advantageous for the challengers." Do you believe that Alinghi doesn’t want other teams to have a chance of winning AC33 and, if so, why did you challenge? I disagree in full with the quote of the newspaper. The revised Protocol for the 33rd Cup was giving no advantages to the Defender. In fact, most probably for the first time in the history of the Cup, the "minor" teams like us, the English and the Germans were thinking they could win the America's Cup. I was sure that, with my new architect and the experience gained in AC 32, we could have won the America's Cup. This is why I challenged and why I am upset now at having lost the opportunity. Which would be best for the AC33 Challengers, for the Appeal Court to uphold the Appelate Division ruling, or for GGYC to prevail? We have received notice to leave our base in Valencia, together with everybody else. This happened before the verdict in favour of Alinghi was known. This is a disaster for everybody, which could change if Alinghi wins. So the best hope is Alinghi winning the court case. Assuming there is a DoG match, how do you see the format of AC34 working out (1) if Alinghi were to win and (2) if BMW Oracle were to win? For me the format must be close to the previous edition, when all classes of people were discussing gybing, tacking ,boat lengths, gates, upwind, downwind etc. That is the America’s Cup and the public loves this. If AC34 were to become a multi-challenger event in massive multihulls would you be able to mount a campaign? To mount a campaign such as the America's Cup, without being a millionaire, you need to have an enormous quantity of passion and courage. I do not like multihulls, therefore, I do not think I would have the necessary energy and passion. You’ve kept the nucleus of a team together by competing in other international events. How long can you continue to do that? Team Shosholoza - and not just a nucleus of a team - is still alive and will regroup as soon I ring the bell. My men will be there as long as it is necessary. Thank you Salvatore, for talking to BYM News.